After the provincial government backed out on their plan to host a commission into systemic racism last October, it opted instead for a one day forum “validating diversity and the fight against discrimination.” It was a watered down offer that only addressed discrimination in the workplace, in an attempt to find solutions for Quebec’s labour shortages. It’s a move that’s left many in Quebec unsatisfied. Unwilling to settle for less, a coalition of more than 40 anti-racist groups across Quebec decided to launch their own independent commission into systemic racism without help of the government. “We lost all hope and confidence in the government to follow concrete initiatives against systemic racism,” said Safa Chebbi, a member of the Table de concentration contre le racisme systemique, the coalition leading the independent commission. The coalition hopes systemic racism in Quebec can be better documented, so public knowledge on the issue can be broadened and solutions could be examined and put in place moving forward—in the same way that systemic violence in residential schools was analyzed through the Truth and Reconciliation Commission. 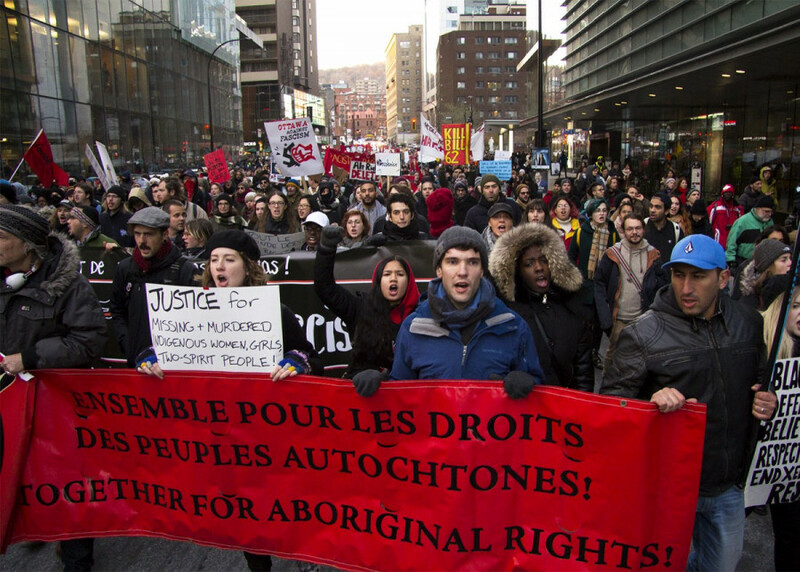 In March, over 1,000 people marched against hate, racism, and the rise of the far-right in downtown Montreal. Photo Brian Lapuz. The TCRS is fully led by members of racialized communities, Chebbi said, and they want it to stay like that every step of the way. 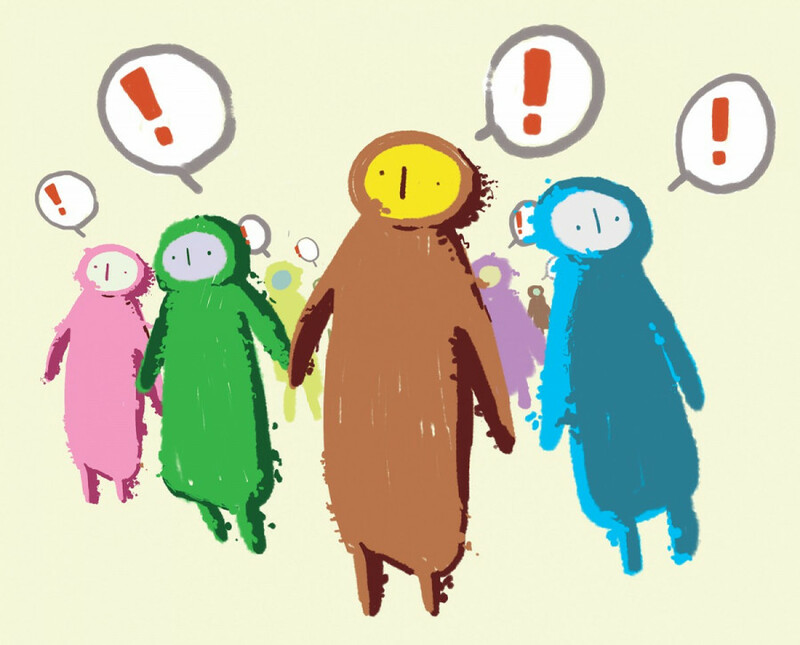 Any racialized person who wants to join in is free to do so, and since their consultations and research will depend heavily on volunteers and non-partisan organizations, they’re always looking for more people. To demonstrate their opposition to the Liberal provincial government, the coalition has agreed to not accept any financial aid from the government. “Politicians don’t take into account racialized people’s rights, interests or needs, which is why we don’t want to be affiliated with any political party,” Chiu said. To properly gather and extensively plan the consultations independent of any political help, Chebbi expects the consultations to take two to three years. The dates of the consultations should be announced soon. Chiu hopes the coalition will help in building a broader anti-racism movement in Quebec, as she feels one is really lacking. With the 2017 mosque shooting in Sainte-Foy, Que., the passing of Bill 62 (the face-covering law that affects Muslim women who wear the burqa or niqab), the rise of far-right groups, and the pushback against holding a national day against Islamophobia, many say racism in Quebec is impossible to ignore. “With everything that’s happening in recent years in Quebec, in Canada, and you can say even worldwide, we feel targeted,” said Racha Cheaib, who works at the Centre Communautaire Musulmane de Montréal in St. Michel. Cheaib said that after the mosque shooting last year it’s impossible for them to not feel targeted. Their own community centre, also part of the coalition, has been vandalized repeatedly. For a period of time after the attack, they hired security personnel to guard the entrance of the building. In working with children, she said she often hears stories of racially-based bullying, and stories from others who’ve been spat on for how they look. As a Muslim, she said she’s tired of always having to defend their existence to others. The demand for consultations against racism and discrimination is especially high in Montreal. 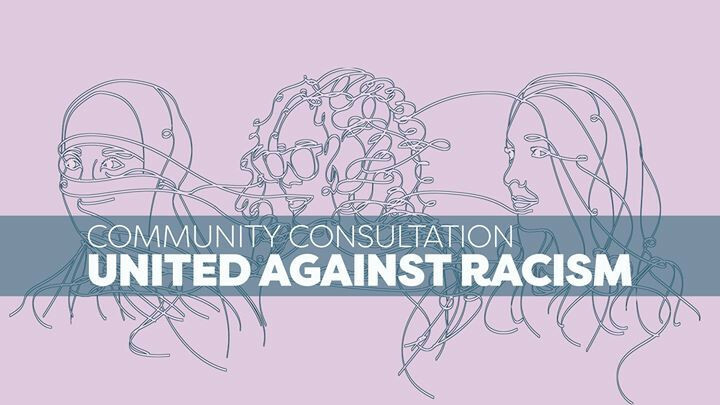 The Center for Research-Action on Race Relations, a Montreal civil rights group, recently launched a petition to hold a similar consultation in Montreal this February, and the Concordia Student Union will be hosting two public consultations on systemic racism in March. If launched, CRARR’s consultation would address police brutality and racial profiling, the disproportionate criminalization of young men of colour, higher rates of unemployment and poverty for visible minorities, and rising Islamophobia. It would also examine the lack of visible minorities in Montreal’s municipal politics and services. Only four visible minorities are currently part of Montreal’s city council, and Projet Montréal didn’t appoint any visible minorities to their executive committee after being elected. Within municipal services, 11 per cent of workers are visible minorities. Seven per cent work as police officers, and less than two per cent work as firefighters. In comparison, a of total of 26 per cent of Montrealers are visible minorities. “Racial discrimination is still present in terms of fair access to jobs for Black and middle-eastern individuals, both French and English speaking. There also has been racial profiling, hate crimes directed at Black, Muslim, and Jewish individuals, and institutional accountability responses have lacked,” said Fo Niemi, executive director with CRARR. CRARR is working in collaboration with former Projet Montréal candidate Balarama Holness, a former Montreal Alouettes player and current McGill law student, to launch the public consultation. If the petition garners 15,000 signatures, the city will be obliged to follow through and activists hope it could begin an action plan to deal with systemic racial discrimination in Montreal. “The new Plante administration, after its first 100 days, has both the opportunity and duty to chart a new, more inclusive and equitable course of Montreal—we are ready to help write the next chapter of the city,” Holness said. Niemi told The Link he hopes to see improvements within Montreal’s police force, saying they’ll be pressured to begin another action plan on racial and social profiling. The Montreal police launched their own action plan on the issue from 2012 to 2014, but a report accessing the action plan a year later found that it had been ineffective. It showed officers have a lack of sensitivity training, showing they only get one seminar once in their career tackling racial and social profiling. Some police officers interviewed through the report a year later said they decided to seek out their own sensitivity training to make up for this. The report also showed a lack of funding for programs meant to ease tensions between visible minorities and the police, and that the SPVM keeps no centralized database of the number of racial or social profiling complaints filed against them. Consultations headed by the CSU will be held at the beginning of March, with one on March 7 at the Loyola campus, and one on March 9 at the downtown campus. The CSU held its first consultation on the matter at the end of January, opening up a space for students to discuss their experiences with racism on campus. It made the CSU realise the urgent need for more of these discussions, said External Affairs and Mobilization Coordinator Ahmed Badr, and Arts and Science Councillor Aouatif Zebiri. Courtesy of the Concordia Student Union. Students who attended were encouraged to discuss their experiences with racism in or around campus. Zebiri found an alarming number of students spoke of experiencing racism from professors, and some said professors showed a serious lack of professionalism towards visible minorities. Many students also expressed frustration over the lack of diversity within the curriculum of certain courses. Some noticed that courses on Indigenous history only featured readings from white scholars. Zebiri doesn’t think white scholar’s’ work on Indigenous issues should be barred from those classes, but says there’s obviously a problem if only those authors dominate a courses’ entire curriculum. Zebiri also said the experience helped to open her eyes to issues that were previously just rumors. She now feels the CSU is more equipped to deal with the problem. “At the CSU, we represent more than 35,000 students—a lot of whom come from minority groups—and we need to be able to help them and support them, and tackle these issues for them,” said Zebiri. Once they are done hearing from students, the CSU plans to start working on a campus action plan to address the problem. “The curriculum is not diversified, and we have professors that are racist. I want to open up this conversation in the upcoming consultation, see what the student body thinks about it, gather more information, extract more potential issues, see how they want change to happen, note everything, give it to the executives, and start working on an action plan for the coming years to support students,” Zebiri said. Badr, Zebiri, and Academic and Advocacy Coordinator Asma Mushtaq hope to create a body to support students who are subjected to systemic racism, similar to the one that currently exists at McGill, Zebiri said. They also hope Concordia could develop a system similar to Université du Québec à Montréal, where students having class discussions about the details of the syllabus, including course readings, and are being able to potentially change parts of the syllabus. Zebiri hopes future CSU executives will maintain these issues as a priority, and continue pushing for the action plan next year. On the provincial level, there’s an equal concern the movement doesn’t fizzle out. “It’s not a consultation for the sake of consultation. Just having a consultation and posting recommendations is not enough,” said Rushdia Mehreen from the South Asian Women’s Community Centre, another group that is a part of the provincial coalition.